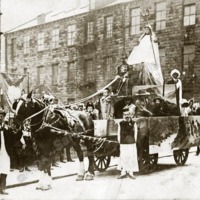 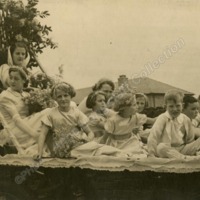 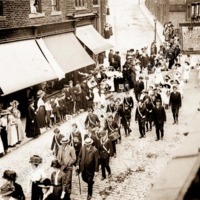 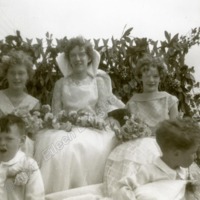 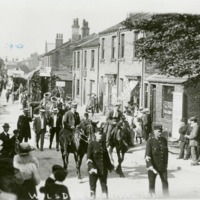 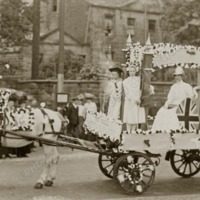 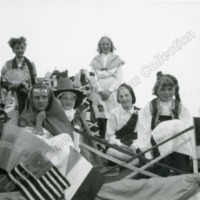 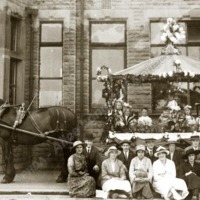 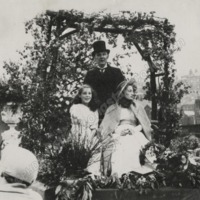 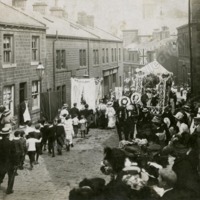 Mytholmroyd Primitive Methodist Sunday School Float with Miss Zilla Robertshaw as Britannia and H. Gaukroger and Annie Redman. 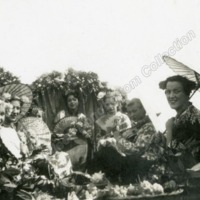 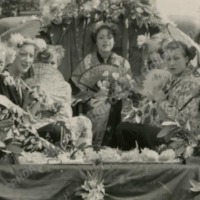 I wonder who these oriental ladies are? 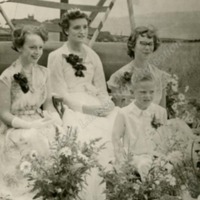 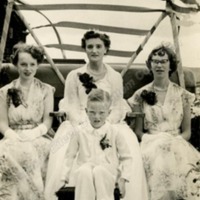 Kathy Townsend identified- Back two left to right ... Jennifer Bowe, Christine Judson. 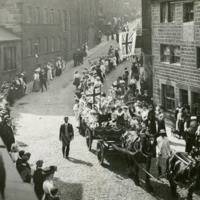 Heptonstall man Nevile Metcalf is driving, he was a driver for the Co-op. 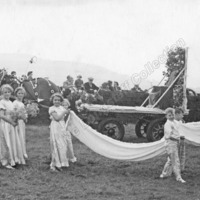 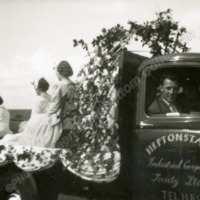 It looks as though this lorry may have been used as a float in a festival or gala. 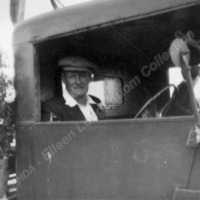 The driver is sporting a buttonhole.